We make life ever more convenient with cutting-edge telecommunications services. LG U+ was established on July 11, 1996 and has been transforming the lives of customers since. We strive to develop telecommunications services, hi-speed internet, VoIP and IPTV services as well as other data services. In fact, we are first in the world to establish a nationwide LTE network with super high-speed services of the highest quality. Continuing into the era of 5G and IoT, LG U+ continues to create higher standards of service and make our customers happy. LG U+, which took leadership in the commercialization of the LTE technology, is opening a new era in the field data communication with customized services that meet customer needs. We plan on continually presenting our customers with new communication services with maximized user convenience and innovative monthly plans. Our home service has achieved growth, centering on the IPTV and Internet phone services. The diverse living information and convenient services provided help maximize customer convenience. We will concentrate on building our capacity to develop and provide convenient services and differentiated products that can enhance customer value. We help our customers address their respective issues with optimum IoT solutions intended for not only the home environment, for which we have the biggest market share with an overwhelming lead, but the urban and industrial environments as well. We’ve set up an exclusive IoT network (NB-IoT) nationwide for further evolved IoT services. We will continually lead the market with our home IoT services that can be used in an easier and more fun way. We plan on offering differentiated solutions such as Smart City, Smart Metering and Smart Plant, and collaborating with diverse partners to create an IoT ecosystem using NB-IoT. With outstanding technologies and infrastructure, we are running e-Biz, IDC and telecommunications line and equipment rental businesses. 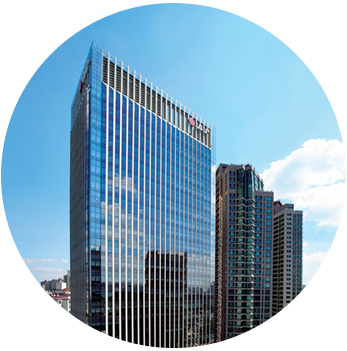 By creating an ideal business environment for our corporate customers, we contribute to their success. We plan on developing intelligence solutions that help increase work efficiency and productivity, and providing services that will lead the industrial IoT sector. 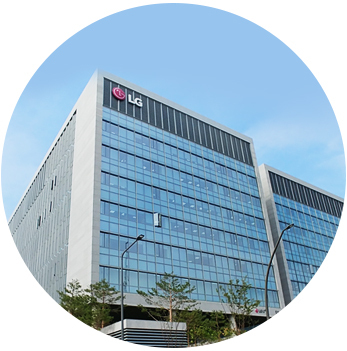 LG U+ operates mobile, home, corporate telecommunication and network management business with Yongsan headquarters, office-building at Magok Science-park and Sangam office-building at the center of its operation. The company also runs mobile customer centers and Internet·IPTV·Phone customer centers across the country and offers counseling services on membership subscription and service installation. 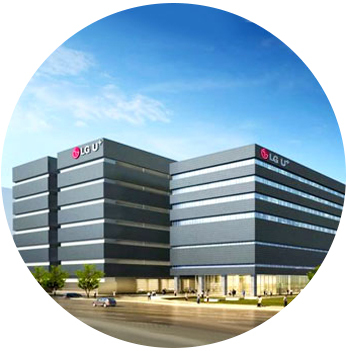 In addition, LG U+ has 12 IDC centers all over the country to provide stable infrastructure and corporate customer support service. 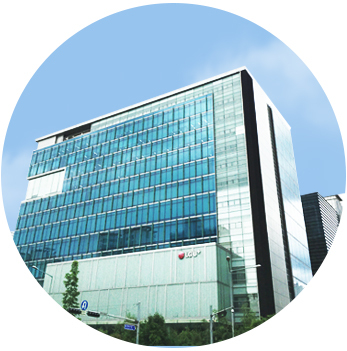 Specifically, Pyeong-chon Mega Center located in Anyang, Gyeonggi province is Asia’s largest white space, global MW-class super modular datacenter. It is the first IDC to have achieved Uptime Tier III certification in Korea in recognition of high quality and stability of its nonstop 24/7 service. Founded in 2000, Media Log Co. Ltd is a company that provides internet communication, portal service and creates multimedia contents. The company has also been pursuing MVNO business from 2014. A-in Tele Service, CS Leader Co. Ltd and CS One Partner Co. Ltd are companies that run call-center and provide telemarketing service. They are in charge of CVC and manage customer satisfaction and customer complaints. DACOM Crossing is a company that provides international broadband circuit to domestic NSP, ISP and wireless operators. DACOM Crossing is an industry-leading company with its well-known reasonable payment plans. With U is a subsidiary company that was established exclusively to hire people with disabilities. LG U+ strives to support the disabled to stand on their own feet and build their careers.